At a superficial level, there is the literal risk of the unknown. With such sophisticated hacking techniques employed by cyber criminals and the enormity of potential losses, directors naturally wonder how secure their network and resources really are. But a more profound risk is that of inertia. This is where the board is reluctant to try new technology-driven initiatives just in case they expose the company to a new risk. And once a company becomes risk averse, it has embarked on a course where it will lose competitive advantage. That’s why we have developed an automated Key Risk Indicator Dashboard for enterprises. As a specialist that has already provided millions of scans to detect of more than 60,000 network vulnerabilities, our KRI scan is based on a proven technology platform and was drawn according to industry standards such as PCI-DSS. "Organizations are facing an increasing challenge from regulators, investors, and auditors to define their risk appetite. Technology is a key driver in enabling business, so it is imperative for management to consider technology in its definition of risk. Management is starting to focus on determining enterprise risk appetite and measuring adherence to it but has paid too little attention to how their IT systems affect risk appetite. The reason? Challenges choosing and applying appropriate IT key risk indicators." Fear, Uncertainty, and Doubt. They can stop an organization from developing the exciting processes that will make them leaders in their space. ANSSI – Secure trading in Europe. PCI-DSS – eCommerce payments standards. Server access control and data integrity issues. Outdated software, and software with known vulnerabilities. Hundreds of organizations rely on SecludIT to manage their network vulnerabilities. Our advanced technology has benchmark setting features, like the ability to securely test virtual clones of servers – even servers which are switched off – so that threats can be identified without activating them. The three slides below show the existing KRI Key Risk Indicator report that SecludIT provides. This easily understood report can be the basis of risk management, due diligence and IT development initiatives. Our KRI scan also includes remediation tips for the IT security team. 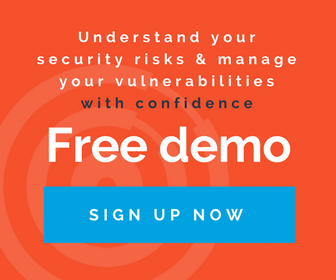 Our vulnerability scanning software – it is called Elastic Detector – is popular with the C-suite because it provides a simple overview and scoring of IT risks. But our insights are also highly actionable. Elastic Detector provides threat prioritization and remediation tips so the CISO and the security team can fix problems, and fix them in the most efficient order. The Elastic Detector Vulnerability and KRI scan therefore provides the business with a solid foundation for developing new initiatives. The C-suite can be reassured that legacy vulnerabilities will not threaten the viability of new IT initiatives. And of course, as the company’s IT evolves, Elastic Detector will continue to check the evolving platform with daily background scans. Our technical team will help you run a KRI scan on your cloud, physical or hybrid network. Elastic Detector has safely performed millions of scans for companies around the world. Our technology is low-overhead, so causes no user disruption and has no impact on network responsiveness or features. You will see the first actionable results in a morning. ANSSI. Digital Security Strategy for France. Click here. OWASP. Open Web Application Security Project. Click here. PCI-DSS. Payment Card Industry security standard. Click here. KPMG. Aligning IT risk management with the enterprise through effective KRIs. Click here.